InterPort Police - Comprised of jurisdictions serving their communities and nations around the world to ensure public safety of passengers, the supply chain, transnational crime and prevention of terrorism at airports, seaports and the transport system. Regional and global efforts focus on sharing, communication, training and operational programs as a public safety nonprofit interagency organization. findaport - This comprehensive online resource amalgamates information found in our various print and electronic publications, including the highly respected Guide to Port Entry and Guide to Tanker Ports. Over 9,000 ports, harbours, cargo terminals and tanker facilities worldwide are available, including over 4,700 port plans, terminal diagrams, photos and maps. International Association of Ports and Harbors (IAPH) - A global alliance of ports, representing today some 200 ports in 85 countries. The member ports together handle well over 60% of the world's sea-borne trade and nearly 80% of the world container traffic. Marinas - Marina facilities throughout the U.S. and abroad. Ocean Ports of the United States - Maintained by World Class Shipping. Ports - World sea ports database, sea transportation, marine and ports market place, sea distances and routes. Ports and Harbours - Information on ports, harbours and marinas. Ports & Marinas Directory - From Superyacht Times. Ports America - The largest terminal operator and stevedore in the United States, operating in more than 80 locations at 42 ports. 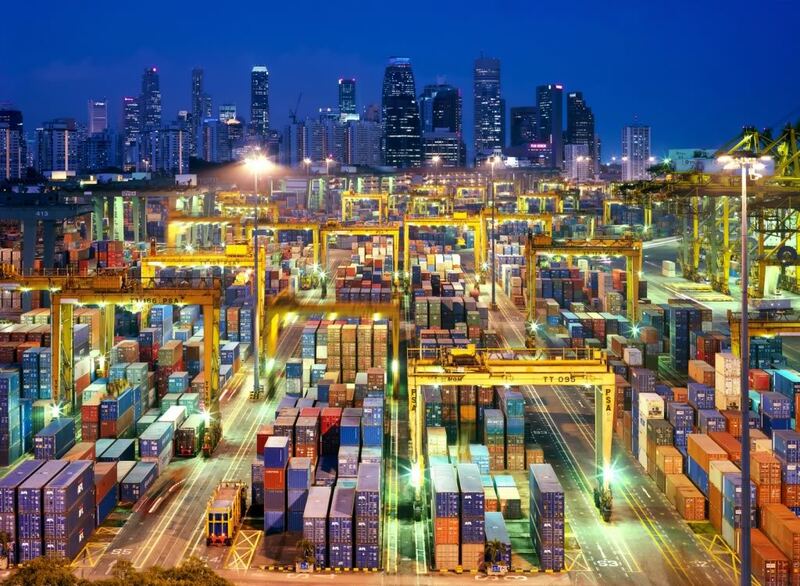 Port Technology International (PTI) - Covers a wide range of topics including port planning, design and construction, terminal operating systems, container handling, dry bulk and specialist cargo handling, oil, gas and chemical handling, environment, mooring and berthing, health and safety, and customs and security. Seaportsinfo - Publications groups serving seaports, port authorities, associations, and the maritime & intermodal transportation industry. SeaRates - Database of shipping lines serving seaports and ports catalogue. Shipping Guides: The Port Information Specialists - Shipping Guides are a world class port information provider for shipping personnel across the globe. They offer comprehensive port, harbour and cargo information. Products include the Guide to Port Entry, the Guide to Tanker Ports, The Ships Atlas, and the Shipping World's Map all of which offer unrivalled port data. They also offer a range of feature maps, including a Global Wind Patterns Map and a Maritime Piracy Incidents Map. The first edition of the Guide to Port Entry, produced in 1971, is now present on most vessels. Its 6000 pages provide the most accurate and comprehensive port information available. This webpage last updated on Wednesday, January 6, 2016 5:44 PM.